This post is completely random. Well, not quite… I found it via my Twitter feed here. 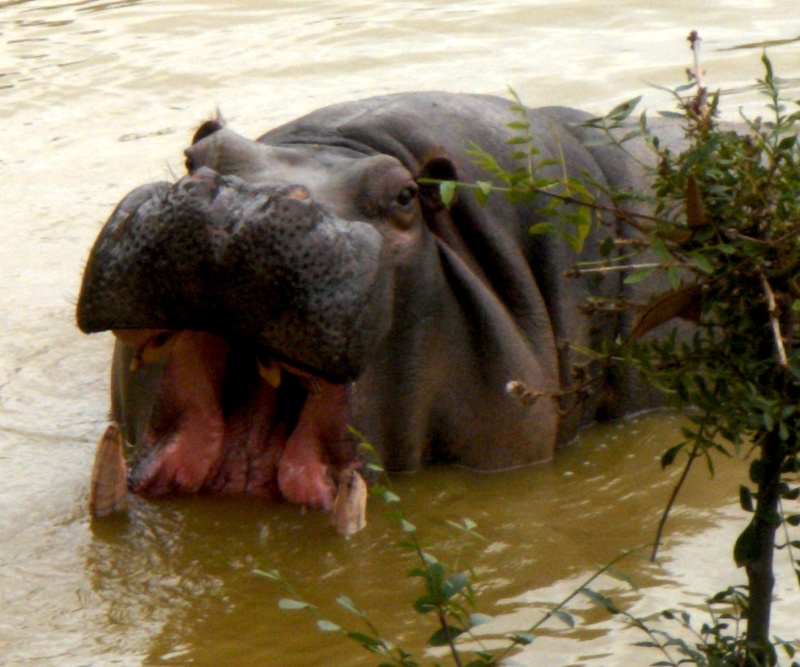 Not to mention, the hippo’s wide open mouth is a perfect follow up to the previous post on yawning. 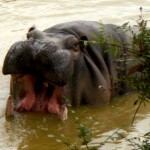 Just looking at that pic of a yawning hippo makes me yawn. In case you’re wondering, I took that photo in 2006 at the Werribee Open Range Zoo. Oh, and no midgets little people were harmed while writing this post. BANGKOK: A hippopotamus swallowed a circus dwarf in a “freak accident” in northern Thailand, according to a columnist in the Pattaya Mail. So how’d it happen? Apparently the dwarf bounced off the trampoline the wrong way. Yeah. This entry was posted on Tuesday, December 16th, 2008 at 3:24 pm and is filed under Life . You can follow any responses to this entry through the RSS 2.0 feed. Both comments and pings are currently closed.